For more information about the above services please contact our reception. For more information on how to obtain your free NHS Health Check, please click here. Now you have had your pregnancy confirmed the Community Midwife, Doctor and Health Visitor will share your care. When you first discover that you are pregnant you will be advised to contact the midwife’s clinic at the Hospital for your initial assessment. Most women deliver at the East Surrey Hospital, however home deliveries may be possible in suitable cases. At the initial visit the midwife will cover your past medical and obstetric history and will arrange for you to have blood tests and scans. The first scan is normally at 11 weeks and can be used to screen for some abnormalities. A more detailed scan is conducted at around 22 weeks. 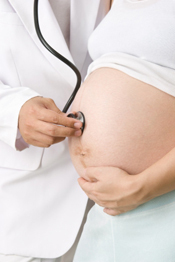 After your initial visit, it is usual to be seen regularly at the GP Surgery either by a Doctor or Midwife. In more complicated cases are seen by a Specialist Obstetrician. Following your delivery the midwife will attend to you for the first 10 days with the Health Visitor visiting you at around the 10th day. A postnatal check is carried out at 6 weeks, usually at the GP Surgery or at the Hospital for complicated cases. Your baby will have a physical check at 6 weeks by the Doctor, this first appointment will not include your babies first immunisation as this cannot be done before your baby is at least 8 weeks old. Mary McAllister is our Specialist Physiotherapist. She can assess your need for physio, give you advice on how best to manage your aches and pains and if necessary, refer you on for further investigations. She cannot prescribe or change your medication. However she is able to send a request to any of the GPs if she feels a particular medication would be beneficial for you. If you have sustained whip-lash, Mary can help you with this too.